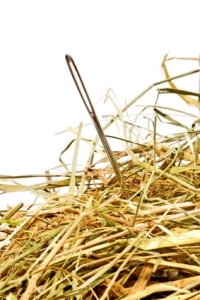 Selecting a competent translation partner can be likened to looking for a needle in a haystack. The term translation alone and its associated expense is enough to trigger anxiety in any decision maker. This is, after all, the external allocation of work processes that are relevant to a company’s image and success. In light of rising globalisation, quality, service and transparency in a translation service provider are becoming increasingly important. Suppliers and consumers from all regions of the world have enriched the supply and demand of the international market. So how are you supposed to stay on top of things when you’re unable to communicate in all the languages in which people are advertising, negotiating, inquiring, bartering, and ultimately concluding contracts? On the other hand, who likes putting their own words into someone else’s hands? Selecting a competent translation partner is similar to choosing a doctor, solicitor or chartered accountant, and should be given just as much consideration! A translation service provider that is experienced in both their own field and yours? A service team that completes work to your utmost satisfaction? Committed project managers, who provide a one-to-one, efficient and punctual service? Then why not get in touch with us now, either by telephone or e-mail!